The family is the primary cell of our society and it is the place of the love and of the values transmission, but it is also very often of the failure and of the violence. An essential cell that has to be supported and helped. The consideration is the role of the family, to be sustained and defended, for a jointly liable society that looks at the voluntary service. First of all Mr. President how the idea of “Festival of Family” is born? A Festival is just necessary to go deep into the themes linked to the family and to give a complete sense of perspectives to all the activities, interventions, laws already issued and in bringing up about the family and for the family. The Festival in Riva del Garda is therefore a stage of the course in becoming that lead us to continuous update and adaptation and to invent new and unheard solutions and answer to expectations and rights specially for families today in difficulties. Which have been the motivations Your Province pays so great attention towards the Family? The Region Trentino historical tradition has always considered the Family as the country of every person, the horizon where the children grow up, the adults could increase in value, the old are sustained. In other words it is the paradigm of which we consider the community: the wider horizon of a characteristic territory, marked by plains and mountains, where the connections not always are easy. Because of the above mentioned reasons our territory is very careful to the young generations and try in all the ways to encourage the talents and that does not forget the most weak and poor people. As Province's President what is Your definition of the Family ? As I said before the Family is the vital cell of the whole community, but it is also an organism that has to open itself, that must be inclusive, that must promote the hearty reception. It is necessary not to be subjects closed in their egoism that we often look in today society, but vital cells, fearless, that even are able to find by themselves the strength and the instruments to face the crisis. One of the Festival aims is to underline Your supporting politics to the family. May You explain the way of this support ? First of all in Trento Privince has been established a special Agency for the Family, the natality and the politics for the youth, a purposely created and dedicated instrument, in order to be quick and diversified to give a complete sense to the thousands brooks of the field interventions destined to the Families in Trentino. Ther is also a Province Law the nr. 1 of 2011, that gather and rearrange all the public interventions decided in favour of the Family, specially for the Families that face problems sometime difficult and dramatic, but even for Families that in the daily normal existence fill step by step sensible and meaningful roles, I think about children education, the care of the elder. the entertainments as opportunity of recreation and and growth. I think about the large Families, with the burden of decupled problems, but they could find in Trentino region notable supports and possibilities to lighten the load of the responsabilities. In last years several measures have been taken to get over the crisis and always focusing attention towards the Family not only for economical problems notwithstanding they became intense and heavy because of the negative economic trend dynamics. The Festival intends to find innovative courses to support the Family. May anticipate where You will focalize the attention ? During the Festival three days many hot themes will be discussed, I would like mainly to underline the item of the Family Districts, they are a kind of economical and cultural organization, locally based, where different subjects work together to sustain and give value for the welfare of the families. For instance, thursday morning, before opening the Festival works, 103 different subjects will underwrite the engagement to become “ friends of the Family”. But it will be also the “ Family Audit”, a standard fixed by the Autonomous Province of Trento, through the Agency for the Family, that thanks to the Protocol of agreement with the Presidency of Ministries Cabinet is going to be extended to a national level. 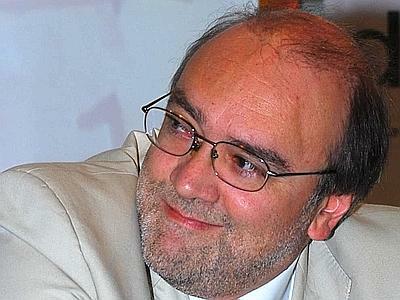 During the opening day the Minister for the Family Mr. Andrea Riccardi will be among the rapporteurs. The Minister declared that, inside the economical crisis, there is also an anthropological and sociological crisis and moreover the social tissue of the country is in crisis: what is Your opinion? to explain styles and life models that have to be sustainable and ethics. If what above does not happen inside the Family we cannot pretend to be attended by the school or more in general by the society, here it is the sense of the recall of Minister Mr. Riccardi towards a Family that could find the strength to overpass this crisis and to become as a good practice in front of the generation troubles. The economical crisis obviously burden on the shoulders of the Families and our administrator responsability is just to try to mitigate more than possible this weight. It is also true that this economical crisis, this reflection is valid not only for the Family, could be the chance to correct certain behaviours, to size again certain ways and life styles to restore those ideals of what above and then to set out to rebuild a new kind of society, based on new values, shared and deep-rooted. What will You ask to the Minister about the Family politics, what are You expecting for? By Minister Mr. Riccardi we await for a comfort of the choices already made by the Autonomous Province of Trento about the welfare and the support to the Family politics. In many previous times Minister Mr. Riccardi pointed out the Trentino Region as an administrative reality careful and sensible to the problems connected to the Family: we wait to be reconfirmed about this attention and a contribution of reflections and ideas to keep on furtherly in this road, that looks the Family always more protagonist of our territorial reality and always more to the center of the attention of all the people, in Trentino Region, that manage the Public Institutions in every level. The Province of Trento has always had a long and strong tradition in the voluntary service field:in which way do You give space and continuity to this tradition and particularly to the voluntary service in the Civil Protection inside the support program to the Family ? The family is the most precious value of the human being society just because it represents the propaedeutics gymnasium that helps the child to become adult and then active citizen, sensible and ready to be inclusive and open to the hearty reception and just engaged in the voluntary service, reality deeply rooted in the autenthic way to be of our community. The organizers stated their maximum satisfaction about 18.000 Visitors and an important cooperation agreement between Centro Fiera di Montichiari and Hannover Messe as most significant results of R.E.A.S. 2012 Emergency Exhibition that has been attended in Montichiari (BS) from October 5 th. to 7 th. 2012. Balt flood combat: Baltic and Piedmont against floods. Balt flood combat: Baltic and Piedmont against floods. News received by Civil protection Volunteers Organization of Vercelli Province ( Italy) concerning the visit in Piedmont of one Baltic Countries Delegation.